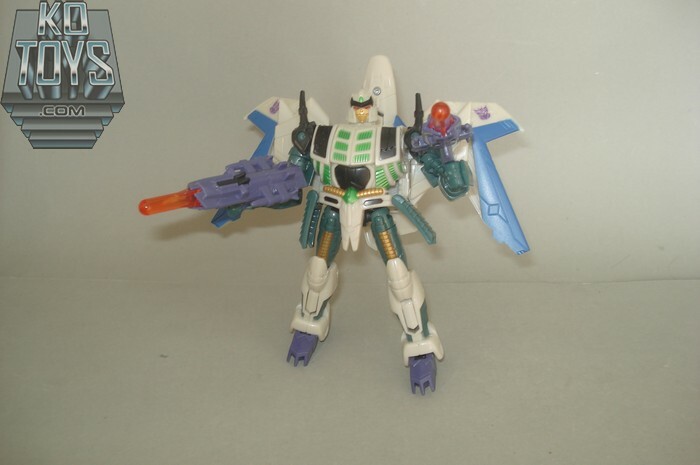 Kotoys.com has a gallery of the upcoming Generations Thunderwing figure, based off the old ultra Pretender G1 figure. Thunderwing is a deluxe, and is shown from all different angles in both modes, and in comparison with other Classics/Universe/Generations figures. Click the link to view the photos. Hub World has updated their site listing that the new Transformers cartoon will be starting in November. According to TV Tango, the exact date will be Black Friday, November 26th at 4:00 p.m.
We’ve already been discussing the upcoming Generations Wheeljack here. Thanks to BBTS, we now have an image of a prototype for the figure. Click below the fold to see the image. Amazon Japan has posted several new images of “Transformers: United” figures, Japan’s version of the Generations toy line. Among which is our first look at a new Kup figure. Check out all the images via TFW2005 here. For those who don’t know, The Hub is the cable station that is a partnership between Hasbro and Discovery, taking over for Discovery Kids. The station started today on 10-10-10, and tomorrow will begin airing the original The Transformers at 9pm (check your local listings though), followed at 9:30 by the original GI Joe: A Real American Hero – it’s ’80s cartoon excitement! Transformers seems to be airing Monday through Thursday. So if you’ve wanted to watch Transformers again from the start, now’s your chance.